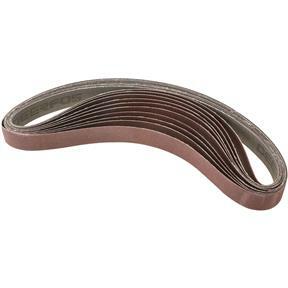 1" x 30" A/O Sanding Belt 120 Grit, 10 pk. Grizzly T26629 - 1" x 30" A/O Sanding Belt 120 Grit, 10 pk. 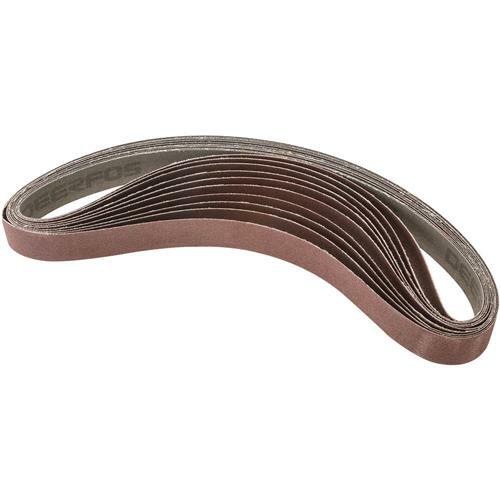 These 1" x 30" Aluminum Oxide sanding belts are 120 grit and come in a pack of ten. I purchased a few weeks ago and the belts are lasting longer than expected. 1/5th the price of the local big box store and a lot better selection.